designing your collection: fit. fit. fit. 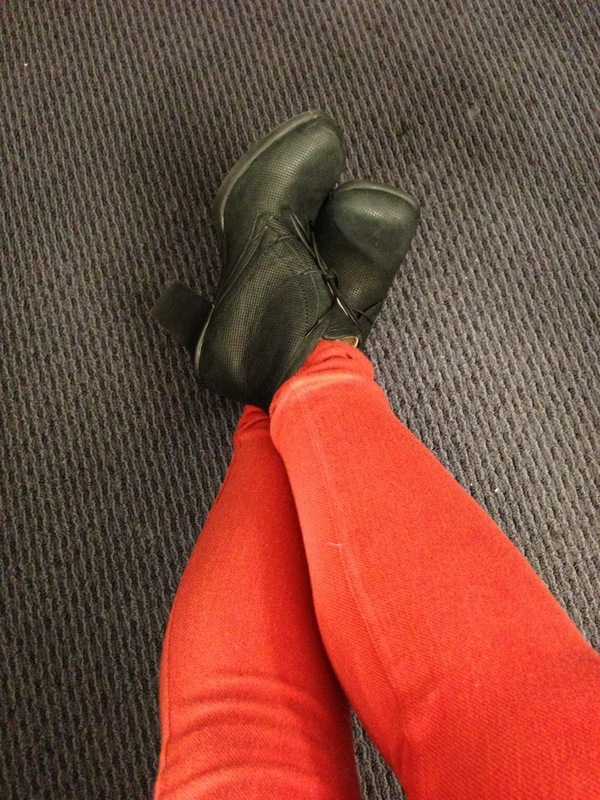 When I invest in Fluevogs, there really isn’t any room for hasty decisions. I have to absolutely love and/or need the shoe if it is going to be a coveted member of my collection. 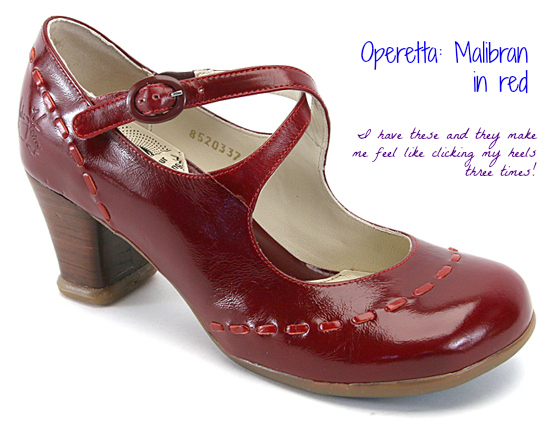 Too much of my valuable youth was wasted on unattractive, low quality, uncomfortable shoes. When I became a Voger, all of that changed. Of the many things that factor in to deciding what I will add to the collection, FIT is definitely high on that list. Note: fit and size are two different things to me… but that’s another blog post for another time. In truth, not every Fluevog family fits like a glove. Confession: I’m happy with that because I’d be in BIG trouble if that were true. For me, the Minis fit like a glove. I can walk out of the store and wear these with absolutely no break-in period needed. The Fellowship family is also one of my faves. It’s such a shame that they don’t make more shoes in this family. All the other families are a trial-by-fit for me. Bottom line: if the Vog doesn’t fit, it’s not coming home with me. Another option is to bring your Vogs to a local cobbler who can stretch your shoes as you like. 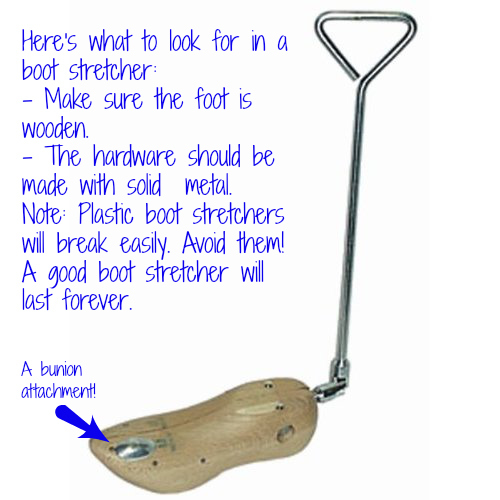 However, at roughly $10 (more or less, depending on the cobbler)/pair, you’re better off just investing in your own stretcher (imho). Other than some basic stretching, I try not to jury-rig the shoes. If it doesn’t fit, it’s my loss. My motto is to just move on to the Vog that actually fits. Fit is really important to remember during sale time or when you find an awesome deal on ebay. 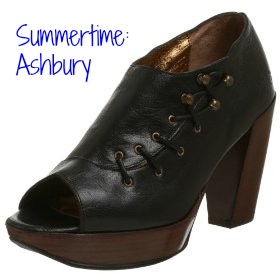 It’s easy to get persuaded to purchase a Vog in the less-than-ideal size/fit when the price is right. However, when I find myself in this situation, I remind myself that Vogs are an investment. Like any investment, it has to be a good one – one that I won’t regret. A too-good-to-be-true price can (unfortunately) trump other levels of sensibilities. With that, be sure to try on the Vog and walk around in them a bit. If you’re buying from ebay, talk to the dealers about sizing and fit. Remember, if the Vog doesn’t fit, move on and invest in the next pair that fit fit fits! designing your collection: multiple choice? When it comes to designing my collection, I have a strict rule that not many die-hard Vogers follow. Here it goes: I never buy two or more of the same shoe (even if it is in a different color). It doesn’t matter how much I LOVE the shoe, I just won’t do it. Vogs are serious footwear. I don’t mess around. Of the many things I know for sure, it’s that John Fluevog will always come out with incredible styles – no matter what season it is. I always look forward to seeing what’s new. This is why I just can’t bring myself to purchase two of the same shoe. Note: What works for me may not work for you. That’s perfectly fine. Different strokes for different folks. For example, Madam Shirley has the Malibrans in black and red. This works for her. She uses this shoe quite a bit – especially when trekking around San Francisco. The Malibrans are gorgeous, practical, and suit Madam Shirley’s needs. For people who are particular about their footwear, or have sizing issues, I can definitely understand why purchasing multiples is necessary. Since I tend to get bored easily, two of the same shoe just doesn’t suit me. It’s not that I haven’t been tempted. Remember the Hotcakes? I was kinda tempted to purchase the brown ones when they went on sale. However, my strict “no multiples” rule negated that possibility quickly. 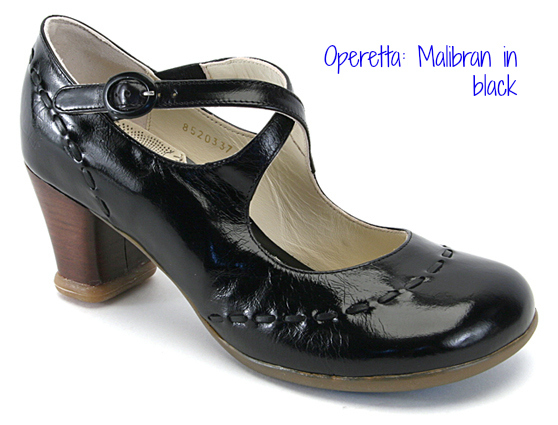 Recently, the Fluevog site announced that the Malibrans will be coming in a new color for spring. Be still my beating heart. I could really use some pink in my arsenal. Le sigh. For spring 2013, new colors are coming out for the Sandra, Zaza, and Guide. My collection could definitely use these new gorgeous colors. Unfortunately, I don’t plan on breaking my rule anytime soon. the s.a.d. sale: final reductions! If you’ve been holding out and saving your pennies for a new pair of Vogs, this may the best time for you to splurge! I know that the new spring line has everyone in a daze. However, there are still some FANTASTIC Vogs that are on sale. In fact, the folks at Fluevog just listed the final reductions for the S.A.D. Sale! Check out the additional markdowns on the Splendid and the Meera. Plus, they added new sale shoes such as the incredible Keaton (thank heaven these are men’s shoes, my FlueLent would be in trouble!). Happy shopping and do share what you added to your collection! Here it is, ladies and gentlemen. 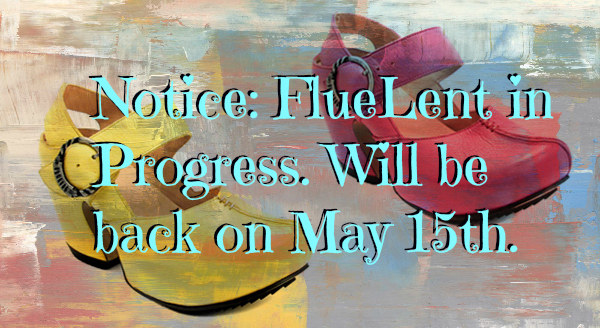 The new spring collection is slowly but surely arriving at your nearest Fluevog store. Our amazing dealers at Haight Street have given us permission to share this sneak peek with all of you. For more detailed info on these new offerings, check out the FlueBlog. They’ve been slowly revealing photos of the new collection – with names and everything! Another thing the lovely dealers have shared with us are photos of the new purses that just arrived. Take a look! Even though I’m technically on FlueLent, I’m still excited to see the new offerings of the season. The colors are so fantastic! I don’t usually look at the accessories, but this season, the purses are absolutely gorgeous! Could this be the season I add my very first Fluevog purse to my collection? Ah, so many things to think about…. When we picked up my Elizabeths last month (which, by the way, now come in sizes 5 and 5.5! WHUUT! ), my husband decided not to try on anything even though he really liked the blue/gray unisex Supervog when I tried on a pair. (The women’s size 6 was too big on me.) If the store had had his size in that colorway of Supervog, I bet he’d have given in. He only tried on four or five pairs, which is about his limit for trying on clothes and shoes in general. The Melrose store doesn’t carry a lot of casual men’s shoes at the moment anyway. We started with the Diesel and the awesome Fluevogologist Anthony brought out other styles that he thought my husband would be interested in. DIESEL: This navy/brown/orange colorway is really beautiful. My husband really liked the dark blue of the vamp but not so much the orange piping. However, he almost got these. GATZZ: This was a choice that Anthony made. My husband liked the colors and the sneaker feel … but the Broderie Anglaise pattern really turned him off. This was a NO from the start. I don’t even think he wanted to try them on, but I asked since I personally liked the embellishment. I could see why it might not be a good choice for his work environment though. NATHANIEL: These look pretty with the wingtips and they are supposed to feel more like sneakers, but they didn’t do anything for my husband. At this point, I think he had made the choice to get the Diesel. CBC: Anthony brought these out without our asking while my husband was trying on the Nathaniels. I have the CBC’s in the bone color but I thought the CBC’s might be too formal for what my husband had in mind so I didn’t even suggest it. And at this point, he didn’t even want to bother trying them on because it seemed he had already decided on the blue Diesels. Again, however, I insisted that he at least try them on. Why not see which size he was in the Radio family? Well, the moment he slipped his right foot into the shoe, he made a wordless noise of wonder — almost like “whoa” — and immediately started putting on the left shoe so that he could get up and walk around the store in them. I’ve said before how much I love my Radio shoes, so I was really happy that he felt the same way about the CBC’s. So long story short, I put these black CBC’s on layaway for my husband last month (part of his anniversary present from me). And this past weekend I finished paying and picked them up for him. 🙂 He loved the look, the feel, the cool little multi-stripe detail at the back of the shoe, and the beautiful royal-blue lining inside. I asked Anthony if this colorway ever went on sale, and he said no. However, the Diesels in the navy colorway MIGHT; since it was a close second for my husband, he said he’d consider getting them for himself if they ever did go on sale (they didn’t make the list during the current S.A.D. semiannual sale). So with these new CBC’s, his collection is at two and counting. (The first was for my brother’s wedding last summer, a more formal pair, the Wisdom in the Values family.) We’ll see how long it takes him to get to number three. I’ll note here that he still needs more casual shoes, so I’m looking forward to what’s in store for the men’s line this spring. designing your collection: can they be me? In my previous post for this series, I addressed the question: Are they me? As a follow-up (with special thanks to Miss Stacey K.), I’d like to explore the question: “Can they be me?” To do this, I’d like to share my Summertime story. It all started with the Summertime: Dig. When these babies went on sale, I was a newbie and didn’t really have a sense of what I actually liked. This family runs about 4″ high and has a platform. Given its height, I wasn’t really interested in trying them on. However, I’m all for shits and giggles, so I agreed to try on the Digs in black. I knew they weren’t me, but play time at the Fluevog store never hurt anyone. When I put them on, I felt like a rockstar! (I even wore them to Rock of Ages in LA!) They didn’t feel like a 4″ heel at all. They were stable and made me feel incredibly tall. 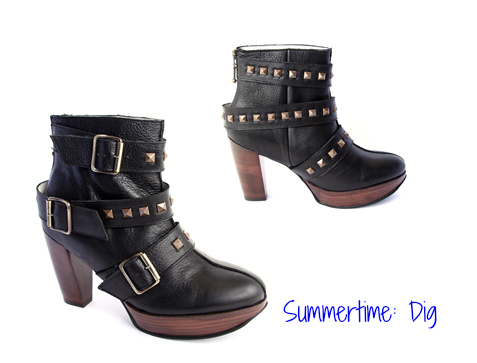 I fell in love with the extra studded strap and the thumping noise it makes when you walk is cool too! Fortunately, there was an amazing sale on these (they were marked down TWICE) and I brought them home. The Digs are an excellent example of a shoe that I didn’t think was me, but ended up being absolutely me! A shoe like this is the reason why it’s always good to try on new things. You never know what suits you unless you actually try it on! I loved the Digs so much that I opted to add the Ashbury to my collection as well. (Totally scored a sale on those too!). It has the same stable platform and again, they make me feel like a rockstar! In case you haven’t heard, the S.A.D. sale is still on, but with NEW additions and markdowns! Ladies and gentlemen, I say you need to head over to your nearest store or log in to the site because there are some lovely shoes that need a good home! 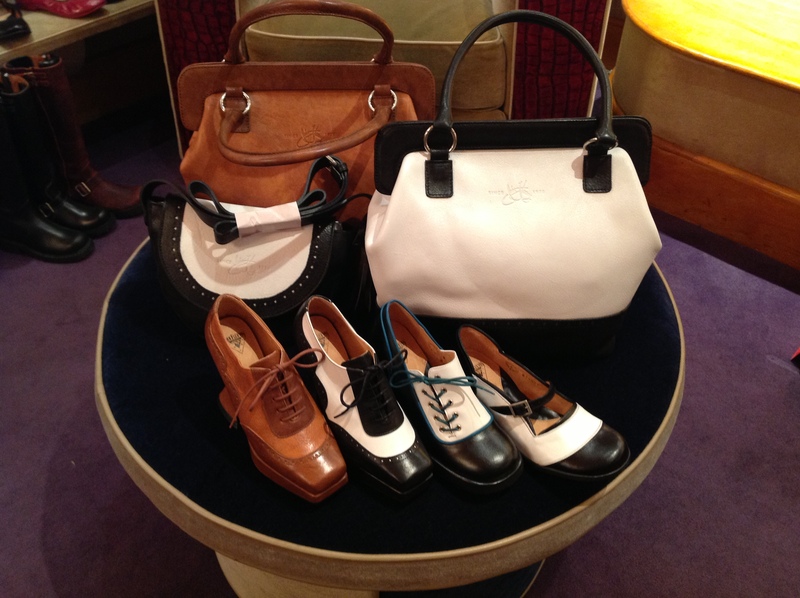 In particular, there are some classic Vogs that just went on sale such as the Viardot and the Benatar. I have both of them and YES, you MUST get them! I’m also trying to convince Agent Dorothy that she NEEDS to get the Malibu! It’s been reduced AGAIN. I don’t know about you, to me, it seems that fate is calling the Agent’s name. Check out this photo of Dorothy when she tried them on. They fit her perfectly and I can think of endless art shows and artist functions that she could rock these things out in. Won’t you agree that it’s a match made in heaven? 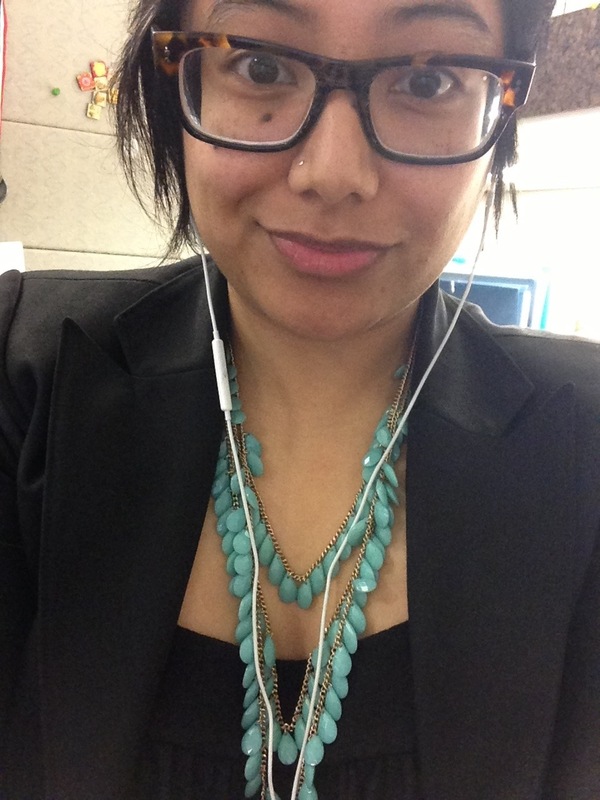 Agent Dorothy sporting the LA: Malibu. Simply gorgeous! Categories: FlueSteals, Vog Collected | Permalink.